Introducing Inn Walden’s organic healthy and natural fruit and vegetable refreshments! There are several exciting and unique flavors that are available, from carrots, oranges, apples, spinach, pomegranate, radishes, and ginger. No matter what you add to your juice it will be truly refreshing. Let Walden make you a signature juice or choose your own ingredients. 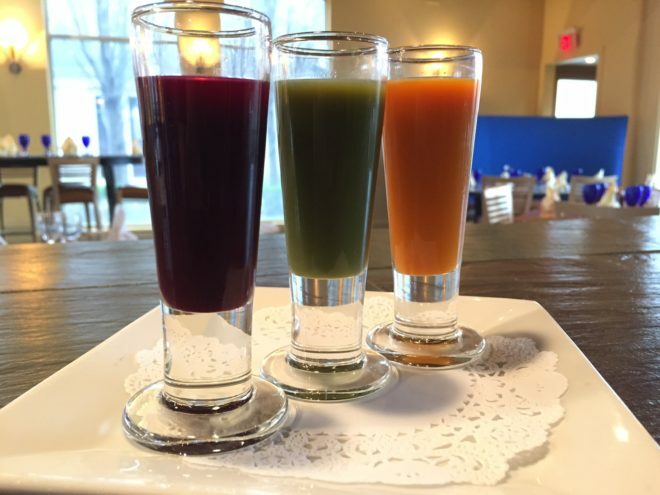 Next time you book an appointment at the rejuvenating Spa Walden, make sure to order Inn Walden’s amazing natural juices! If you are staying at the Inn Walden, call room service and the Walden Staff will be more than happy to deliver it to your room. Every moment is a fresh beginning, stay healthy at Walden.